Last published AAPL charts expected more downwards movement to a short term target at 463.93. Price reached down to just 0.88 short of the target at 464.81 before turning up for a short term correction. At this stage there is a gap to be filled, and a second wave to do it. At cycle degree the structure unfolding is most likely a double zigzag. 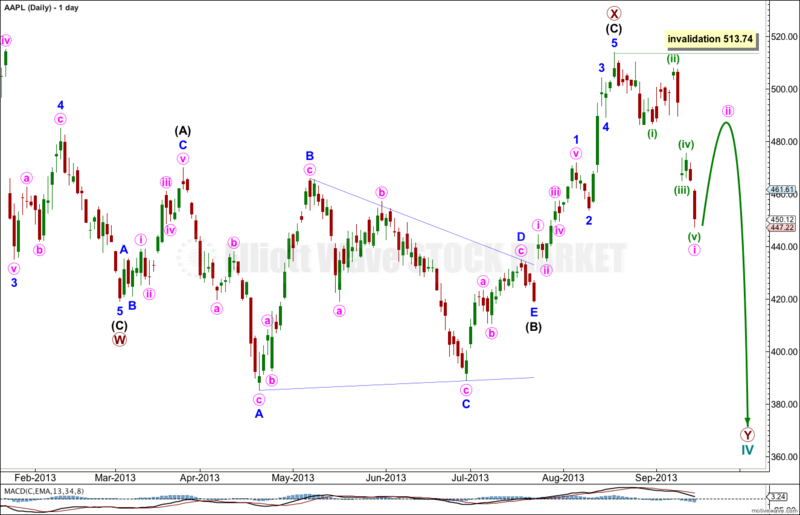 It may also be a double combination, but that would normally have a deeper retracement for the X wave; this double zigzag is relatively shallow and fits better the normal form for a double zigzag. 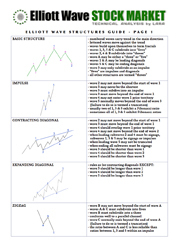 There is now a completed five wave structure downwards. This should be followed by a corrective structure, subdividing into three waves, upwards. Ratios within minute wave i are: minuette wave (iii) is just 0.88 short of 1.618 the length of minuette wave (i), and minuette wave (v) is just 0.99 longer than equality with minuette wave (i). A channel drawn about minute wave i should be breached by upwards movement for minute wave ii. Minute wave ii is most likely to end about the 0.618 Fibonacci ratio of minute wave i at 488.33. It should be choppy and overlapping. It should last about two to three weeks. Unfortunately there can be no downwards invalidation point for this correction. 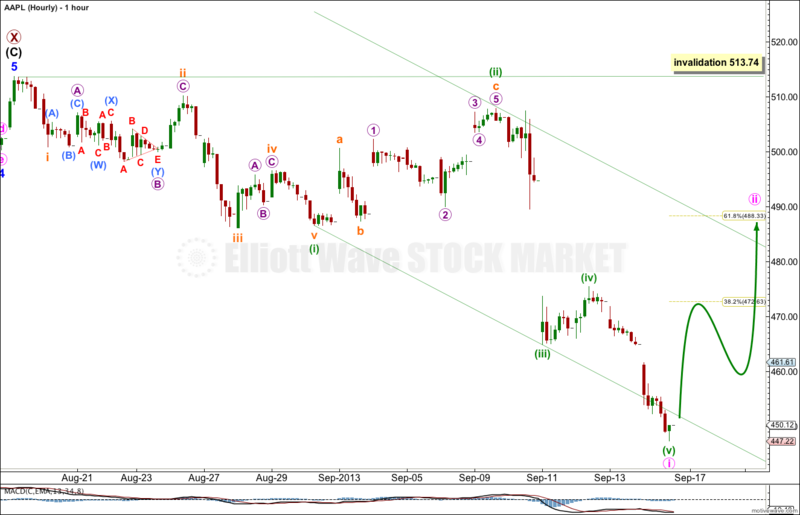 If minute wave ii is an expanded flat it may include a B wave which makes a new low below 447.22. Minute wave ii may not move beyond the start of minute wave i. This wave count is invalidated with movement above 513.74. 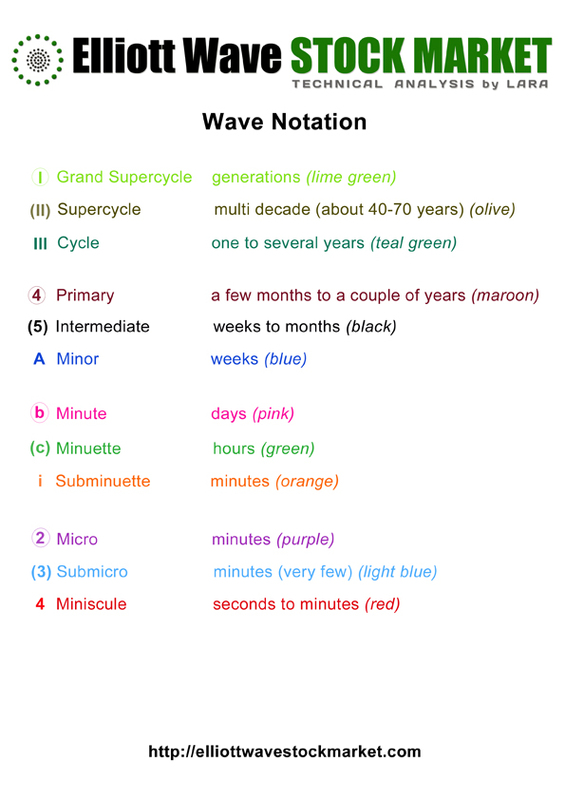 Hi, looking at how big minute i is, do you think that could actually be a Minor wave? Yes indeed, I believe you are right. I’ll probably move that up one degree.